The Boca Juniors - CA River Plate (Arg) (Football - Copa Libertadores) match in 11/11/2018 14:00 is now complete. Now that this Football (Copa Libertadores) match is over and the score is known, you can find the highlights and key statistics on that same page. Full-time! The final score is 2 - 2. Throw-in for CA River Plate (Arg) in their own half. Carlos Tevez for Boca Juniors has been booked by Roberto Tobar and receives a first yellow card. Boca Juniors drive forward and Dario Benedetto gets in a shot. Without netting, however. Free kick for Boca Juniors in the half of CA River Plate (Arg). Roberto Tobar will wait an extra 5 minutes before blowing the whistle to end the second half. Boca Juniors needs to be cautious. Boca Juniors have an attacking throw-in. Free kick for CA River Plate (Arg) in their own half. CA River Plate (Arg)'s Lucas Pratto goes close with his head but his effort is blocked. Boca Juniors to take a throw-in in Boca Juniors territory. In Buenos Aires a free kick has been awarded the home team. Ball safe as CA River Plate (Arg) is awarded a throw-in in their half. Boca Juniors awarded a free kick in their own half. The match at Alberto Jacinto Armando is underway again. Roberto Tobar signals a Boca Juniors throw-in in Boca Juniors's half. Julio Buffarini (Boca Juniors) has replaced the possibly injured Leonardo Rafael Jara at Alberto Jacinto Armando. Play has been temporarily suspended for attention to Leonardo Rafael Jara for Boca Juniors who is writhing in pain on the pitch. Goal kick for CA River Plate (Arg) at Alberto Jacinto Armando. Boca Juniors are pushing forward but Dario Benedetto's finish is wide of the goal. CA River Plate (Arg) are coming forward and Lucas Pratto gets in a strike, it misses the target, however. Boca Juniors have a goal kick. Boca Juniors have been awarded a corner by Roberto Tobar. Ball goes out of play for a CA River Plate (Arg) goal kick. Ramon Abila of Boca Juniors is pulled up for offside. Important block from the CA River Plate (Arg) defence as Wilmar Barrios fires in a strike for Boca Juniors. Juan Quintero is replacing Gonzalo Martinez for the away team. Rafael Borre is booked for the away team. Boca Juniors awarded a throw-in in their own half. Bruno Zuculini is on a sub for Enzo Perez for CA River Plate (Arg). Boca Juniors make their second substitution with Carlos Tevez replacing Sebastian Villa. Throw-in for Boca Juniors in the half of Boca Juniors. Throw-in for CA River Plate (Arg) close to the penalty box. Can Boca Juniors get the ball into an attacking position from this throw-in in Boca Juniors's half? Throw-in for Boca Juniors at Alberto Jacinto Armando. 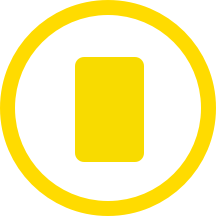 Milton Casco (CA River Plate (Arg)) has received a yellow card from Roberto Tobar. Ball safe as Boca Juniors is awarded a throw-in in their half. In Buenos Aires CA River Plate (Arg) attack through Exequiel Palacios. The finish is off target, however. Roberto Tobar signals a free kick to CA River Plate (Arg). Own goal in Buenos Aires! Carlos Izquierdoz scores in his own net to make it 2 - 2. Milton Casco for CA River Plate (Arg) gets in a strike but fails to hit the target. Can CA River Plate (Arg) capitalize from this throw-in deep inside CA River Plate (Arg)'s half? 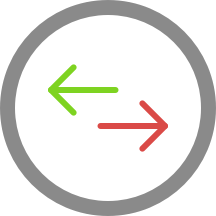 Matias Biscay is making the team's first substitution at Alberto Jacinto Armando with Ignacio Fernandez replacing Lucas Martinez. Boca Juniors's Lucas Olaza misses with an attempt on goal. Roberto Tobar awards CA River Plate (Arg) a goal kick. Throw-in for CA River Plate (Arg) at Alberto Jacinto Armando. Roberto Tobar signals a free kick to Boca Juniors in their own half. Corner awarded to Boca Juniors. Can CA River Plate (Arg) get the ball into an attacking position from this throw-in in CA River Plate (Arg)'s half? Ramon Abila (Boca Juniors) has received a first yellow card. The second-half is underway at Alberto Jacinto Armando. CA River Plate (Arg) surge into the attack at Alberto Jacinto Armando but Lucas Martinez’s header is off-target. 3 minutes of injury time will be added to the first half. Goal kick for Boca Juniors at Alberto Jacinto Armando. Sebastian Villa instrumental with a fine assist. Boca Juniors's Sebastian Villa breaks free at Alberto Jacinto Armando. But the strike goes wide of the post. Throw-in for Boca Juniors in their own half. Boca Juniors's Dario Benedetto scores with his head to give his side a 2 - 1 lead. At Alberto Jacinto Armando, Sebastian Villa has been yellow-carded for the home team. Free kick for CA River Plate (Arg) in the half of Boca Juniors. CA River Plate (Arg) are pushing forward but Rafael Borre's finish is wide of the goal. Roberto Tobar awards Boca Juniors a goal kick. Gonzalo Martinez of CA River Plate (Arg) smashes in a shot on target. The keeper saves, though. CA River Plate (Arg) awarded a throw-in in their own half. In Buenos Aires, Ramon Abila of Boca Juniors is presented with a shooting opportunity. But the strike is blocked by the covering defence. Goal! Lucas Pratto equalizes to bring the score to 1 - 1. That's a fine assist from Gonzalo Martinez. Ramon Abila for Boca Juniors drives towards goal at Alberto Jacinto Armando. But the finish is unsuccessful. Ramon Abila is on target to give Boca Juniors a 1 - 0 advantage. CA River Plate (Arg) needs to be cautious. 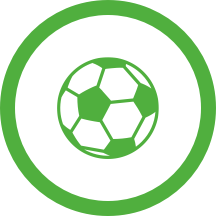 CA River Plate (Arg) have an attacking throw-in. The match at Alberto Jacinto Armando has been interrupted briefly for a check on Cristian Pavon, who is down injured. Boca Juniors's Cristian Pavon gets his shot away but it misses the target. Guillermo Schelotto (Boca Juniors) has taken off Cristian Pavon who seemed to be grimacing with pain earlier. A possible injury. Dario Benedetto is the replacement. CA River Plate (Arg) have been awarded a corner by Roberto Tobar. The match is underway again. Boca Juniors's Cristian Pavon looks ok and returns to the pitch. Sebastian Villa of Boca Juniors gets in a strike, but is off target. Roberto Tobar waits before resuming play because Cristian Pavon for Boca Juniors is still down. Boca Juniors push forward through Pablo Perez, whose finish on goal is saved. Throw-in high up the field for Boca Juniors in Buenos Aires. Corner awarded to CA River Plate (Arg). In Buenos Aires, Rafael Borre (CA River Plate (Arg)) gets his head to the ball but the strike is cleared by an untiring defence. Rafael Borre (CA River Plate (Arg)) gets in a header on goal but the attempt is cleared. Roberto Tobar signals a throw-in for CA River Plate (Arg), close to CA River Plate (Arg)'s area. Boca Juniors are coming forward and Cristian Pavon gets in a strike, it misses the target, however. Roberto Tobar signals a free kick to CA River Plate (Arg) in their own half. Ball goes out of play for a Boca Juniors goal kick. Lucas Martinez's header is off-target for CA River Plate (Arg). Gonzalo Martinez (CA River Plate (Arg)) wins the ball in the air but heads wide. Boca Juniors's Sebastian Villa misses with an attempt on goal. In Buenos Aires, Lucas Pratto (CA River Plate (Arg)) misses the target with a header. CA River Plate (Arg) have a goal kick. CA River Plate (Arg)'s Gonzalo Martinez is on target but unsuccessful. Roberto Tobar signals a free kick to CA River Plate (Arg) just outside Boca Juniors's area. Boca Juniors's Carlos Izquierdoz attacks the ball with his head but his effort fails to hit the target. The match is underway in Buenos Aires. The official line-ups for today's match are out.